Nokia 5.1 Plus (Nokia X5) | An upcoming Nokia-branded Android smartphone carrying the model number TA-1109 has been certified by TENAA in China. 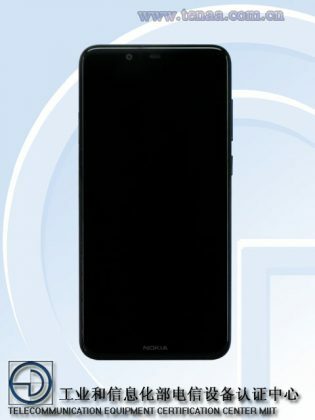 While we cannot be completely sure, the TA-1109 is currently being speculated to be the rumored Nokia 5.1 Plus or the Nokia X5. Thanks to the TENAA listing, the design and pretty much all the key specifications of the upcoming device have now been confirmed. 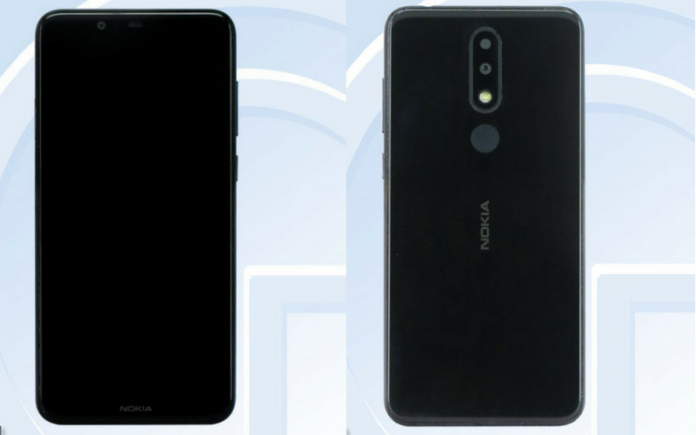 According to the Nokia 5.1 Plus listing on the TENAA website, the smartphone will be powered by an octa-core processor clocked at 2.0 GHz. In terms of memory, the handset is listed to be available in 3GB, 4GB, and 6GB RAM variants with either 32GB or 64GB of onboard storage. For further expansion, the handset will include a microSD card slot that will accept microSD cards up to 128GB in capacity. The images don’t show a notch but the display specifications reveal a 5.86-inch screen with 720 x 1520 HD+ resolution. As suggested by the recently leaked CAD renders of the upcoming smartphone, the display panel could have a notch at the top, similar to the Nokia X6. In the camera department, the Nokia 5.1 Plus will feature a dual-camera setup on the back with the primary sensor being a 13MP unit. On the front will be an 8MP snapper. In terms of video, both the rear and front-facing cameras on the Nokia 5.1 Plus will be capable of capturing videos at 1080p Full HD resolution with a frame rate of 30fps. Keeping the lights on will be a 3000mAh capacity battery, although it remains to be seen if it will include fast charging support as well. The TENAA listing confirms the presence of a fingerprint sensor as well. In terms of size, the Nokia 5.1 Plus will measure 149.51 x 71.98 x 8.096mm and weigh in at 160 grams. At launch, the smartphone will be available in three color options – Blue, Black, and White. Going by the specifications revealed by the TENAA listing, we can expect the Nokia 5.1 Plus to be priced in India at somewhere around the Rs.15,000 mark for the base variant with 3GB of RAM and 32GB of built-in storage. The top-end configuration with 6GB of RAM and 64GB of internal storage, on the other hand, is likely to be priced similarly to the Nokia 6.1 4GB RAM variant.